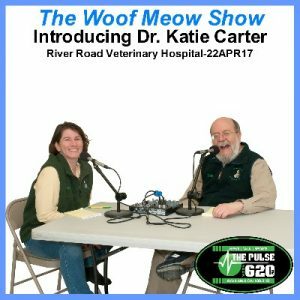 In this episode of The Woof Meow Show on April 22nd, 2017 Don interviews Dr. Katie Carter, the owner of River Road Veterinary Hospital in Orrington, Maine. Dr. Carter talks about how and why she became interested in veterinary medicine, her preparations for college and veterinary school, and about her experiences at the Auburn University College of Veterinary Medicine in Auburn, AL. Then they discuss Dr. Carter’s first experiences as a practicing veterinarian in a mixed-animal practice in Pennsylvania, her return to Maine, where she worked at the Eastern Maine Emergency Veterinary Clinic, and then Dr. Carter’s purchase of River Road Veterinary Hospital in Orrington. Dr. Carter primarily sees dogs and cats, but she also sees a wide variety of exotic pets, everything from small, furry mammals, to amphibians, reptiles, and birds. 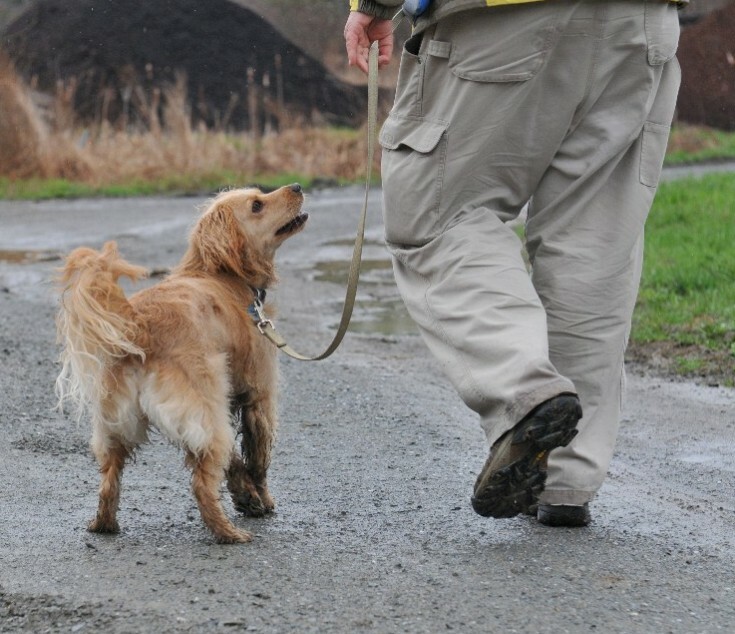 Dog Training – How Do I Get My Dog to Walk Politely Instead of Pulling on the Leash? In my experience, no piece of equipment, leash, collar or harness will cause a dog to happily and consistently walk on a loose leash unless the dog is also trained to walk politely. Training a dog to walk on a loose leash takes patience and time. Unlike, sit or down, walking side-by-side another living being is not a normal behavior for a dog. Dogs sit and down all the time without even being asked, but when was the last time you saw a group of dogs walking side-by-side? It does not happen. 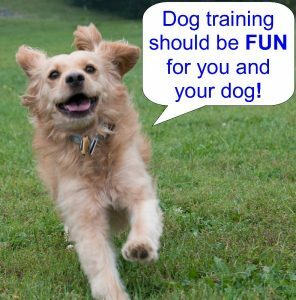 I have found that teaching someone to train their dog to heel or walk on a loose leash is best accomplished with a professional, reward-based dog trainer demonstrating how to teach and reward the behavior and then coaching the student as the student trains their dog. Technique and attention to detail matters when teaching a dog to heel. It is not something most people master in one lesson but is critical. As noted above, no tool, on its own, is going to teach a dog to walk on a loose leash. However, the following teaching aids are the ones that will be very helpful in teaching your dog to walk on a loose leash. A regular 6-foot leash and a flat collar or properly fitted front-connect harness. A treat bag filled with yummy treats. Wear it on the side where you want the dog. A clicker or another way to mark the behavior that you want. We NEVER recommend the use of any aversive such as a prong, choke, or shock collar for training or the management of a pet. These tools can cause significant physical injuries and emotional pain to a pet. They can severely damage the bond and trust between handler and dog and also have the potential to cause severe behavior problems such as aggression. Our philosophy is consistent with the American Animal Hospital Association (AAHA), the American Veterinary Society of Animal Behavior (AVSAB) and the Pet Professional Guild (PPG). I never recommend the use of any retractable leash if your goal is to teach your dog not to pull when walking. Retractable leashes work by keeping constant tension on the leash and thus are rewarding your dog for keeping the leash tight with every single step your dog takes. Retractable leashes also allow your dog to walk several feet in front of you, which if you want the dog at your side is counter-productive. After your dog has learned to walk loosely on a 6-feet leash, you may wish to then train them to walk on a longer leash. When in town or areas with large numbers of people, I walk my dog on a 6-foot leash; however, if we are out on a trail, away from most other people I routinely use a 15-foot leash so that my dog can explore. My dog has also been trained on this leash, and when I cue her to return to my side, she does. When training, it is important to be able to instantly communicate with your dog to let them know the precise moment in time that they are in the exact position you want. The clicker excels at this. However, if you are not experienced with clicker training (operant conditioning), I would recommend working with a professional trainer that is, because if you click at the wrong time, or inappropriately, you may confuse your dog. A click without a reward is the equivalent to us receiving the envelope our paycheck comes in and finding it empty. A click is a sacred promise of a reward, and the best reward for the vast majority of dogs is a treat. 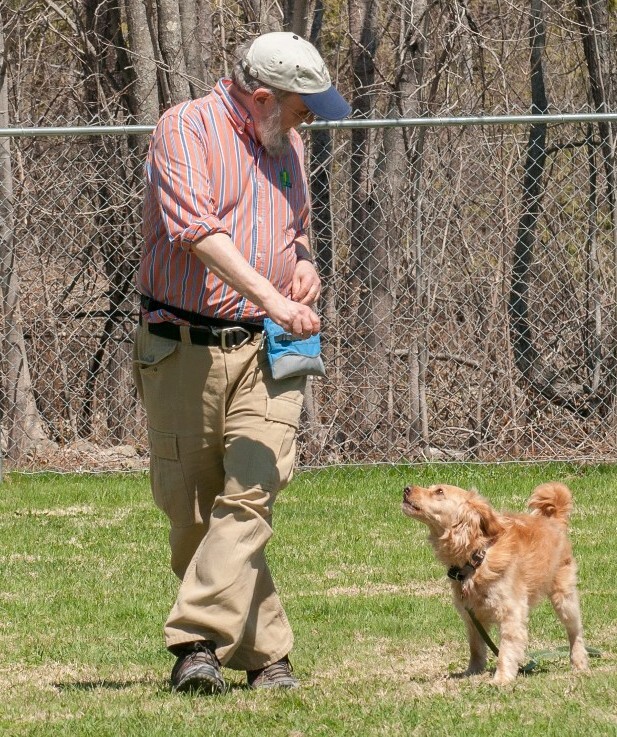 When teaching your dog to walk nicely by your side, you need to quickly deliver the treat in the precise position where you want the dog to be, typically the side of your leg. If you give the dog the treat in front of you, you are encouraging the dog to move out of the desired position and to cross in front of you, an accident waiting to happen. Neither you nor your dog will be happy if you trip over them and end up kissing the sidewalk. Keep lessons short, 5 minutes maximum. It is more productive to do three 5 minute lessons than one 15 minute lesson. Remember, every time the dog is on a leash they are learning to walk politely or to pull and lunge. What they learn is up to you. While you may feel that you need to take your dog for a 30-minute or 15-minute walk, doing so is counterproductive if they are pulling on their leash at any time during the walk. Until you have trained your dog to walk on a loose leash, limit your walks to 5 minutes, the same amount of time we would recommend for any training session. If you are concerned about exercise for your dog, play fetch with them in a fenced area. Every step you take with the leash tight is rewarding the dog for that behavior because they get one step closer to what they want. Rewarding the behavior you do not want, could dramatically increase the amount of time it takes your dog to learn the behavior you do want. If you are having trouble stopping when the leash goes tight, consider getting a properly fitted front-connect harness. These harnesses can be very helpful when fitted and used properly. Start with stationary attention exercises (Attention/Look Behavior). I consider the heel behavior to be an extension of what we teach as an Attention behavior. Attention is all about teaching the dog to make and maintain eye contact with us. Heel or walking politely is essentially attention while in motion. The easiest way to get your dog to focus on you while walking is first to train them to have impeccable focus while you are stationary. Reward your dog with treats frequently when you start teaching walking politely, don’t be stingy. The timing of the treat is critical. The location where the treat is delivered is critical. When I start teaching walking politely, I treat for every step or every two steps. Being stingy with treats will not be helpful. As I noted above the timing of the click and treat and where the treat is delivered are crucial. That is why I recommend that you work with a professional dog trainer that can coach you on timing and treat delivery. It can be tough to be more interesting when outdoors, so start by practicing inside. This is a time to talk to your dog as a means to keep them focused on you. Change your pace and directions frequently and erratically, so the dog needs to focus on you. Working off-leash inside or in a fenced area outside is a good way to practice. Training your dog to walk on a loose leash is all about teaching them to be aware of their position in relationship to you when walking and for you to be able to immediately get their attention and focus in very distracting environments. There are far more distractions outdoors than there are indoors, so I recommend that you practice and master this behavior inside, before working on it outdoors. If you are silent when walking, your dog will quickly find something more interesting than you, and you will have lost their attention. When teaching your dog to walk politely, you will need to talk to your dog. However, be careful about saying the same thing over and over again. If you keep saying their name (Sparky, Sparky, Sparky) ad infinitum, they will tune you out, just as you have probably tuned out someone who constantly nags you with the same phrase. When I first teach a dog to walk by my side, I use a higher-pitched voice (guys you can do this!) and tell my dog stories or talk to them about my day. They are not listening to the words, but by chattering away and frequently rewarding them, I have become more or at least as equally compelling as the distractions. Walking around the block or in a straight line has very few learning opportunities and if you walk the same route every time the dog quickly learns that they do not need to focus on you. They know where you are going. For this reason, when you start to teach this behavior I recommend that you walk erratically and unpredictably. Change directions often, so the dog is thinking “Whoa, I have no idea where they are going, I better pay attention!” You should be walking in a manner that would result in your being pulled over by the police if you were driving. When you start practicing this outdoors, you do not need to leave your yard. Just practice in the yard and driveway. Start somewhere the dog is familiar with as there will be fewer distractions. Your neighbors may think you have lost it when they see you chattering at your dog and are not able to walk a straight line, but who cares! I also encourage people to practice the heel behavior with the dog off leash, but ONLY if they have an appropriate space where they can do so. An appropriate area is one where the dog is safely contained and cannot place themselves in danger. Fenced yards work great! 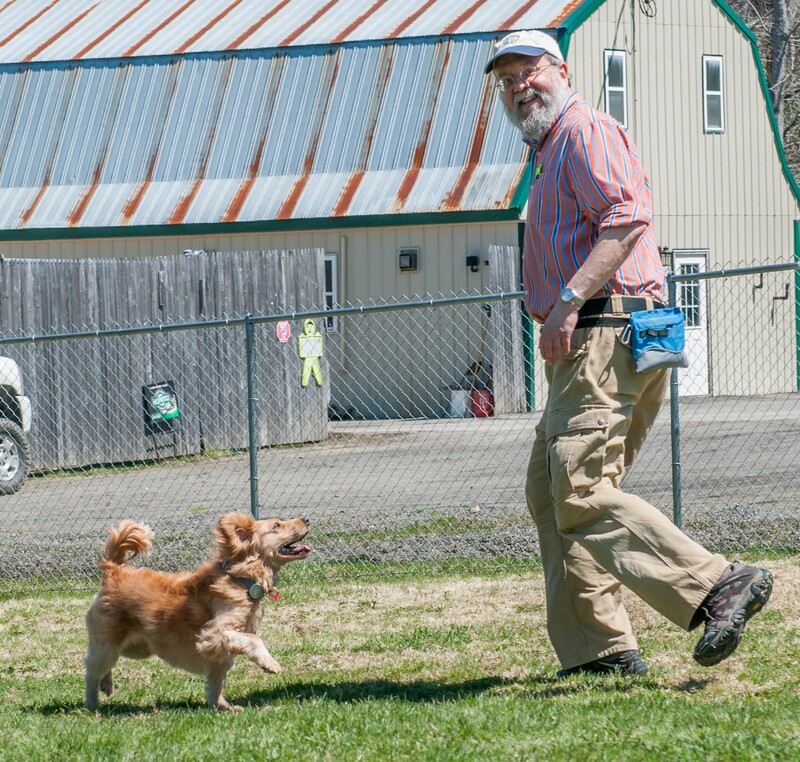 If you do not have a fenced yard but are a regular client of Green Acres Kennel Shop, you can use our training field to work with your dog off leash. However, make it easy on yourself and start in one of the two small yards. So why practice heel with the dog off leash? It is much harder to maintain your dog in position and focused on you when the dog has the freedom to move away. The leash is a crutch for both the dog and us. When on a leash your dog does not need to look at you to be aware of where you are, and you do not need to work as hard to keep them close. By practicing this behavior with the dog off leash, you are both going to need to work harder. In my 21 plus years of teaching people how to train their dog to walk politely, I have observed a consistent pattern in those that are not successful; they are not putting enough energy into teaching this behavior. If you are doing this correctly, after five minutes you and your dog will be ready for a nice break. All family members need to follow the same rules and protocol. If multiple members of the family walk the dog you ALL need to follow the same rules ALL of the time. You need to pick a side, left or right, and stick with it. Imagine if you were being taught to drive by two people and one person taught you to drive on the left side of the road, and the next day another person resumed the lesson by teaching you to drive on the right side of the road. Would you be confused? Very likely. We need to make it easy for our dog and stick with a side. After your dog has mastered walking on one side, then you can also teach them to walk on the other side. It only takes one person who frequently allows the dog to pull on the leash to make training the dog take longer and even possibly to cause you to be unsuccessful. 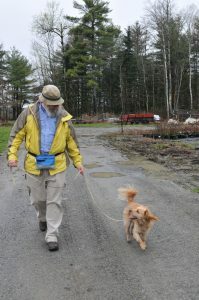 If you are connected to the dog by a leash, and you are in motion, your dog will be learning, and you should be training. If the leash gets tight, stop so that you do not reward the dog for forward motion. When the dog is back in the desired position at your side and is focused on you, reward them! While you do not need to reward your dog every step, for the rest of their life, you should be ready to reward whenever you walk your dog in a new environment or if it has been several weeks since you practiced walking politely. Call their name or ask them to LOOK (Attention Behavior) and the instant they look back at you click and when they are in the position you want them to be, treat. If you invest the time and energy in training your dog to walk politely on a leash, you will eventually walk many miles together, enjoying one another’s company. Just remember, make the walk pleasurable for your dog and give them opportunities to stop, sniff and explore because that is what your dog enjoys about your journeys together. If you do not have the time to do the latter, leave the dog home. However, make sure to schedule a time when you can take your dog for a walk that they will enjoy. Dog training has changed dramatically in the past 30 years. 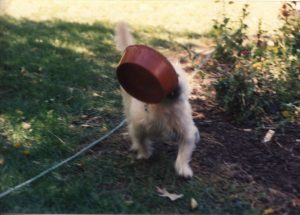 While the use of aversive techniques such as choke and prong collar corrections, shock collars, alpha wolf rollovers, dominance downs, and other methods based on positive punishment and negative reinforcement were the predominant form of dog training many years ago, these methods are now considered to be both unnecessary but also counter-productive and detrimental. Many consider them to be inhumane. 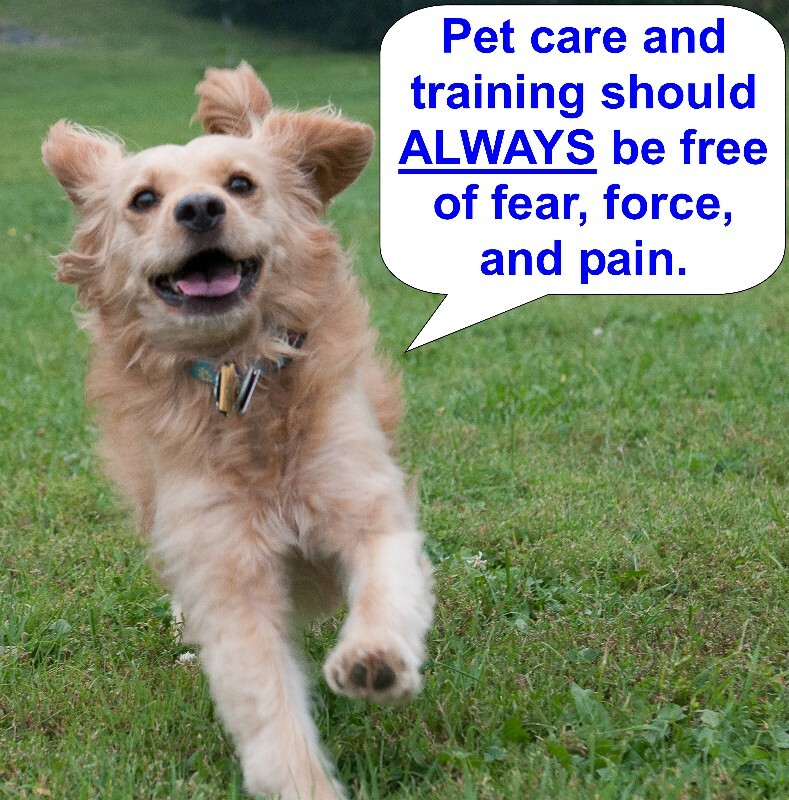 Dog training should be fun and that means it is pain-free, force-free, and fear-free. 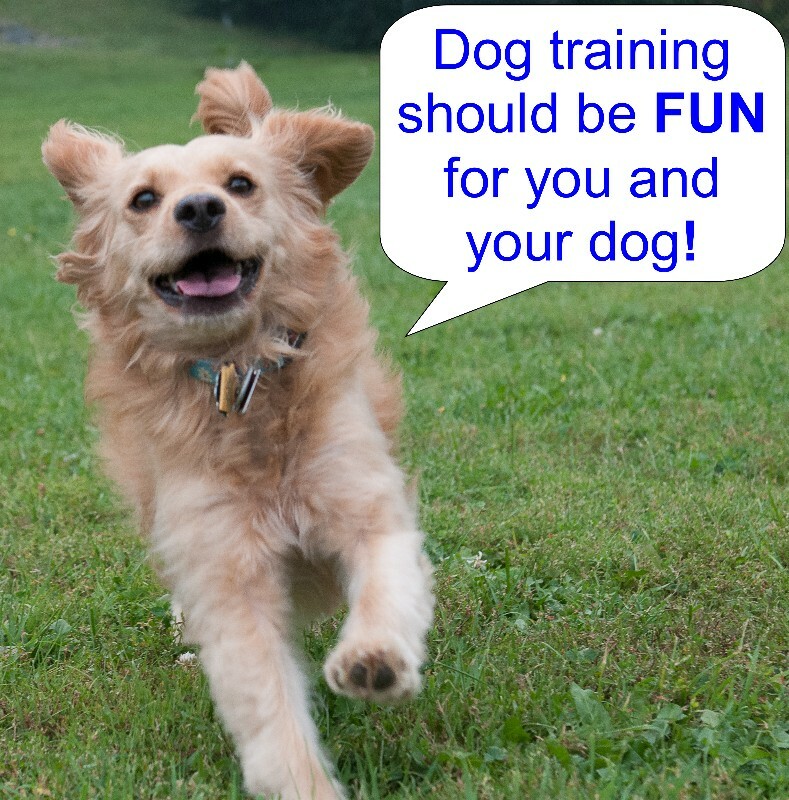 Dog training should be fun for both you and your dog. Aversives and the use of force cause fear and pain, which can be physical or emotional in nature. That in turn, impairs our dog’s ability to learn, damages the bond and trust between our dog and us, and has been found to cause behavioral problems such as aggression, anxiety, and extreme stress. The American Animal Hospital Association (AAHA), the American Veterinary Society of Animal Behavior (AVSAB), and the Pet Professional Guild (PPG) recommend that aversives NEVER be used. “This Task Force opposes training methods that use aversive techniques. Aversive training has been associated with detrimental effects on the human–animal bond, problem solving ability, and the physical and behavioral health of the patient. It causes problem behaviors in normal animals and hastens progression of behavioral disorders in distressed animals. Aversive techniques are especially injurious to fearful and aggressive patients and often suppress signals of impending aggression, rendering any aggressive dog more dangerous. For more on this topic, and for links to the actual position statements and references, check out the Recommended Resources section below. HEALTH ALERT – Important new from the Rabies Challenge Fund! Important new from the Rabies Challenge Fund. Let’s hope that governments throughout the world do the right thing and accept Rabies titer results instead of requiring additional, yet unnecessary and often detrimental revaccination. 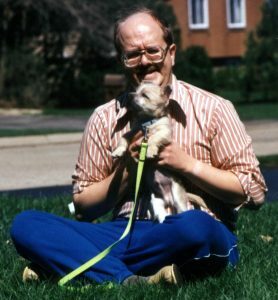 The first use of the phrase “Man’s Best Friend” originated in 1789 when Frederick, King of Prussia, used it in reference to his Italian Greyhound. Unfortunately, to this day there are still far too many dog owners, breeders, shelters, rescues and even pet care professionals such as dog trainers and veterinarians recommending and using methods and tools that no one would ever use on his or her best friend. Fortunately for dogs, two internationally recognized groups of pet care professionals are working to help both pet professionals and pet parents to learn how to treat their dogs kindly. 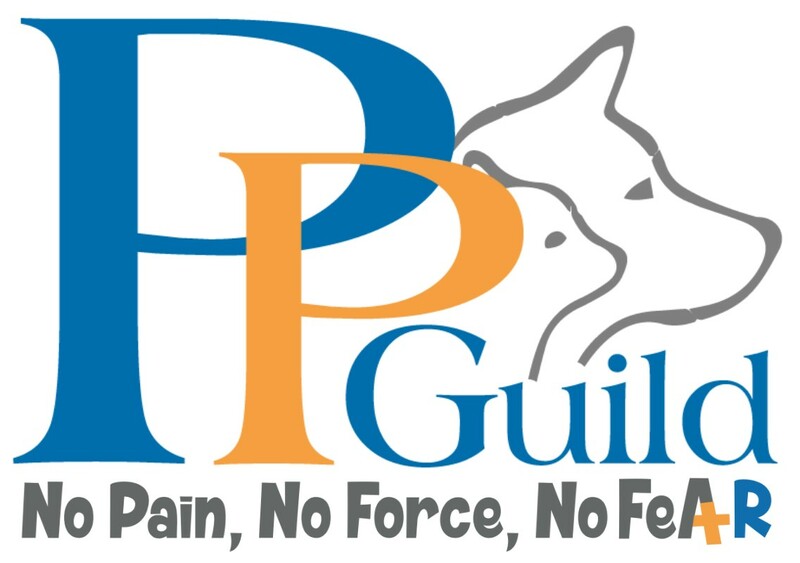 The Pet Professionals Guild (PPG) was founded in 2012. Membership is open to all in the pet care services industry as well as pet parents. PPG founder Niki Tudge describes the organization as a place where professionals can come together and support and learn from each other. It is also a meeting place where pet parents can connect with pet professionals that share their values. At the heart of the Pet Professionals Guild commitment to force-free pet care is their “Guiding Principles.” A pet care professional may only become a member if they agree to abide by these principles that state: “To be in anyway affiliated with the Pet Professional Guild all members must adhere to a strict code of conduct. Pet Professional Guild Members Understand Force-Free to mean: No shock, No pain, No choke, No fear, No physical force, No physical molding, No compulsion based methods are employed to train or care for a pet.” To me, that is a very clear statement and one of the reasons that I believe the PPG is the premier pet care organization in the world. The PPG “Guiding Principles” are perfectly in synch with my facilities “pet-friendly” philosophy. That is why we enroll our staff as PPG members once they have completed their training. The PPG has also published several position statements, such as The Pet Professional Guild Position Statement on Equipment Used for the Management, Training and Care of Pets which explains how damaging the use of shock, choke and prong collars can be. The American Animal Hospital Association (AAHA) is an international association of more than 36,000 veterinary care providers who treat companion animals. The AAHA was established in 1933 and is well known among veterinarians and pet owners for its standards fo r veterinary practices and quality pet care. Many pet owners look for their veterinary facility to be accredited by the AAHA. The AAHA established a task force because of their concern over the number of pets presenting at veterinary hospitals with behavioral problems. In August of 2015, that task force presented their findings in a document entitled the AAHA Canine and Feline Behavior Management Guidelines. This groundbreaking document reports “Behavioral problems affect more dogs and cats than any other medical condition and are one of the most common causes of euthanasia, relinquishment, or abandonment of pets.” The report recommends that a behavioral wellness assessment should be part of every pet’s visit to the vet. Are you aware of the 2015 AAHA Canine and Feline Behavior Management Guidelines and are you and your staff committed to following them? 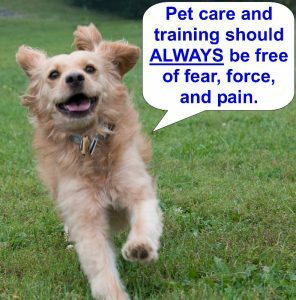 Are you aware of the Pet Professionals Guild Guiding Principles and their Position Statement on Equipment Used for the Management, Training and Care of Pets and are you and your staff committed to their philosophy of fear-free, force-free, and pain-free pet care and training? If they answer no to either question, it suggests that they may not be aware of these new standards which also suggests that they may not be continuing their education, an alarming sign for someone that is a pet care professional. Even more alarming it suggests that they may be aware of the guidelines but refuse to follow them. Do not be afraid to ask, “Are you committed to not using any aversive tools or techniques while caring for my pet?” If they do not answer “yes,” you may want to look for another pet care provider. Lastly, I encourage every pet parent to join PPG. What have you got to lose, it is free, and it is a great place for you to obtain knowledge! 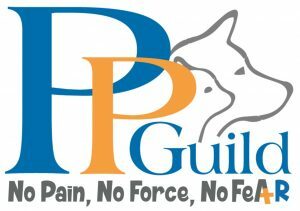 Check them out at http://www.petprofessionalguild.com/. Step one – Know that you are not alone. I receive several calls per week from people that are concerned about how their dog is behaving towards them, other people, other dogs, other animals, or maybe some combination of things. Aggression, reactivity, fear, and anxiety are all on a continuum of behaviors and the primary reason I see dogs for behavior consultations. Fear is almost always a direct cause or a major factor in aggression and reactivity. 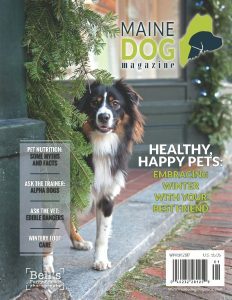 Previously in this column, I have discussed the 2015 American Animal Hospital Association (AAHA) Canine and Feline Behavior Management Guidelines which reported that “Behavioral problems affect more dogs and cats than any other medical condition and are one of the most common causes of euthanasia, relinquishment, or abandonment of pets.” You are not alone. Step two – Act Now!! Accept that behavioral issues will not go away on their own nor will your dog outgrow them. Commit to act NOW! Understand that these matters are every bit as traumatic to your dog as they are to you. You are both suffering. Delaying action is only likely to make the resolution of these issues harder and in all probability take longer. Step six – Talk to your veterinarian. If you have not already done so, make an appointment with your veterinarian to have a detailed discussion about your dog’s behavioral issues. Aggression can be caused by many medical problems. Pain, neurological disorders, tumors, thyroid disease, and other hormone-related problems, and even an adverse reaction to a vaccine can cause aggression. Any medical issues related to your dog’s behavior need to be identified and resolved if you wish the behavior to change. Step seven – Seek help from a behavior professional. If your veterinarian determines that your dog’s behavioral issues are not the result of a medical problem, seek the advice of a professional animal behavior specialist, someone who understands canine behavior, ethology and behavior modification. Do not try to resolve this issue on your own or based on what someone tells you on Facebook. It is unlikely that you will be successful and you may make the problem worse and more difficult to resolve. Behavior modification is not the same as dog training. Dog training is about teaching your dog to offer a particular action when given a cue. Behavior modification is about changing your dog’s emotional response to a stimulus. Aggression and reactivity are emotional responses typically based on fear or anger. Making your dog sit when a stranger approaches you and your dog is unlikely to make your dog less afraid or angry, but in fact, may make your dog feel more threatened. Behavior modification is about helping your dog develop a positive emotional response instead of barking, growling, lunging, or cowering. The term “behaviorist” is often misused today. The only individuals that should be identifying themselves as a behaviorist are veterinarians who have been credentialed by the American College of Veterinary Behaviorists (DACVB) and applied animal behaviorists credentialed by the Animal Behavior Society (ABS). Beware of rescue and shelter workers and dog trainers that claim to be a “behaviorist” as it is unlikely that they are credentialed by the DACVB or the ABS. Below I discuss the types of qualifications that I recommend you look for when seeking behavioral help for you and your dog, and the organizations that grant those credentials. There are three levels of professionals that specialize in assisting pets with behavioral problems. 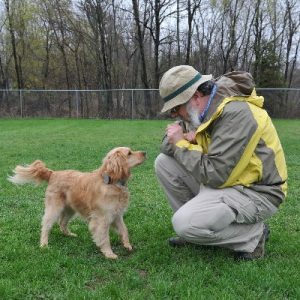 At the first level, you will find Certified Dog Behavior Consultants (CDBC) and Associate Certified Dog Behavior Consultants (ACDBC) credentialed by the International Association of Animal Behavior Consultants (IAABC) and Professional Canine Behavior Consultants (PCBC) accredited by Pet Professional Accreditation Board (PPAB). 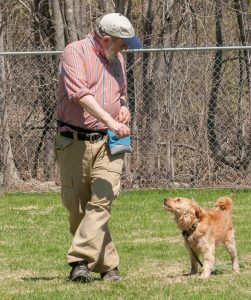 These individuals are typically dog trainers who have completed additional education specific to behavioral disorders, have passed an exam, and maintain continuing education regularly. They are qualified to work with most behavior problems. These individuals are the ones that you will most likely find in your community. At the next level are Certified Applied Animal Behaviorists (CAAB) and Associate Certified Applied Animal Behaviorists (ACAAB) accredited by the Animal Behavior Society (ABS). These behaviorists can work with more difficult behavior problems than the behavior consultants identified above. At the top level are Diplomats of the American College of Veterinary Behaviorists (DACVB). These behaviorists are veterinarians with advanced training in behavior. They are skilled in dealing with the most dangerous behavior problems using both behavior modification therapy and medications. Another place you may find help is from a veterinarian that is a member of the American Veterinary Society of Animal Behavior (AVSAB). This organization is made up of veterinarians and persons holding a Ph.D. in animal behavior or a related field. However, unlike the DACVB, ABS, IAABC, and PAAB, the AVSAB does NOT “…confer upon its members any qualifications or presuppose a level of expertise in the field of animal behavior.” The four other organizations listed above due requiring credentialed members to pass an exam and to maintain continuing education in their field. You can find links to all four of these organizations below. Step eight – Be patient. While an undesirable behavior such as reactivity towards strangers can be created in a single event, it will likely take a significant amount of time and effort to change your dog’s behavior. Our brains and our dog’s brains work much the same. If we are exposed to something we perceive as dangerous or frightening, we are genetically pre-programmed to remember that for life. It is all about our instinctual motivation to survive. To successfully reprogram the brain can take weeks and even months of carefully planned desensitization and counter conditioning. It is human nature, especially in today’s culture to be impatient and to want instant results. That is not how behavior modification works. Be patient. Green Acres Kennel Shop offers a Help! My Dog is Aggressive, Reactive, Fearful, Anxious, etc. seminar every 4 to 8 weeks. You can learn more about the next scheduled seminar at Upcoming Events page on Blog – http://bit.ly/Blog-UpcomingEvents. 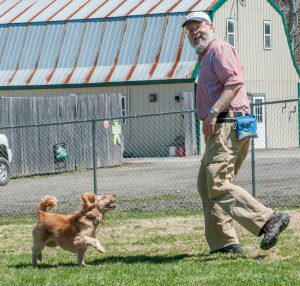 Don Hanson is the co-owner of the Green Acres Kennel Shop (http://www.greenacreskennel.com/) in Bangor. He is a Bach Foundation Registered Animal Practitioner (BFRAP), Certified Dog Behavior Consultant (CDBC), Associate Certified Cat Behavior Consultant (ACCBC) and a Certified Professional Dog Trainer (CPDT-KA). He produces and co- hosts a weekly radio show and podcast, The Woof Meow Show heard on The Pulse AM620 WZON and streamed at http://www.wzonradio.com/ every Saturday at 9 AM. A list of upcoming shows and podcasts of past shows can be found at http://www.greenacreskennel.com/woof-meow-show/the-woof-meow-show.html. 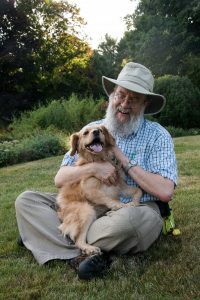 Don also writes about pets at his blog: http://www.greenacreskennel.com/blog/about-the-blog-words-woofs-and-meows/. In this series of articles on pet nutrition, I will start by discussing myself, my pets, and why I am so passionate about this topic. I will follow that with an article discussing the fundamental nutritional needs of both dogs and cats along with my opinion on the pros and cons of various type of diets; kibble/dry, canned/wet, homemade, frozen raw, freeze-dried raw, dehydrated, and others. 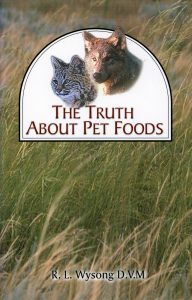 Next, I will review the many myths circulating about pet food and the facts that refute those myths. Lastly, I will discuss what to look for in a pet food and a pet food company and what to avoid. The first four things I tell my clients and students about pet nutrition are; 1) Quality, wholesome nutrition from fresh, whole foods is fundamental to good health, 2) all pet food companies and pet foods are NOT the same, 3) there is no single brand or formula of pet food that is the “best” for all pets, and 4) Be wary when seeking advice on pet nutrition, as the pet food world can be a deceptive place. Considering the latter, you are probably asking yourself; “Why should I trust what this guy has to say about pet nutrition?” So I will start with some background on why I am so passionate about this topic, and hopefully, you will find that I am worthy of your trust. I became interested in pet nutrition long before I knew I would become a pet care professional. My interest was not driven by choice but by necessity. 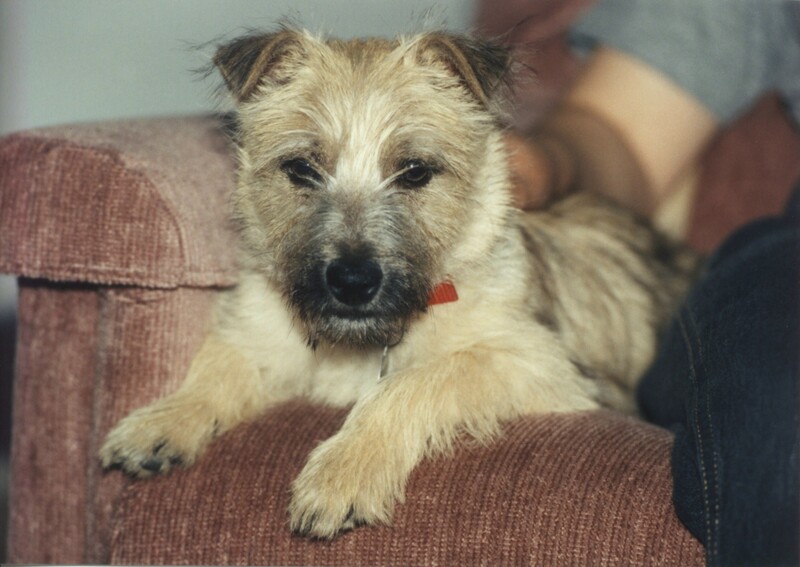 My wife and I adopted our Cairn Terrier Gus, in 1991. Before Gus had been with us for a year, he started to have chronic urinary tract infections (UTI). Our veterinarian tried all of the conventional treatments, and without fail, the infections kept coming back. acidic and triple phosphate or struvite crystals which occur in urine when it is alkaline or base. If you remember your high school chemistry, you will recall that acid and base are opposites. Measured on a numerical pH (Hydrogen potential) scale, seven is neutral, less than seven is acidic, and more than seven is base. The pH of Gus’ urine could swing between 5 and 8 in a 24 hour period, going from base to acid and back. This variation in pH was just one more conundrum in determining what was going on with him, but our veterinarian was convinced it was a nutritional issue. As a result, he had us purchase several bags of different brands and formulas of pet food and to feed Gus x number of kibbles of one brand and y number of kibbles of another brand while monitoring his urinary pH and keeping records of our results. We did this for several weeks, and there was still no significant change. The infection cleared up, but the crystals remained, they continued to be an irritant and Gus continued to have accidents and infections. We kept trying different foods and measuring pH to no avail, and Gus eventually had to have a bladder stone removed. 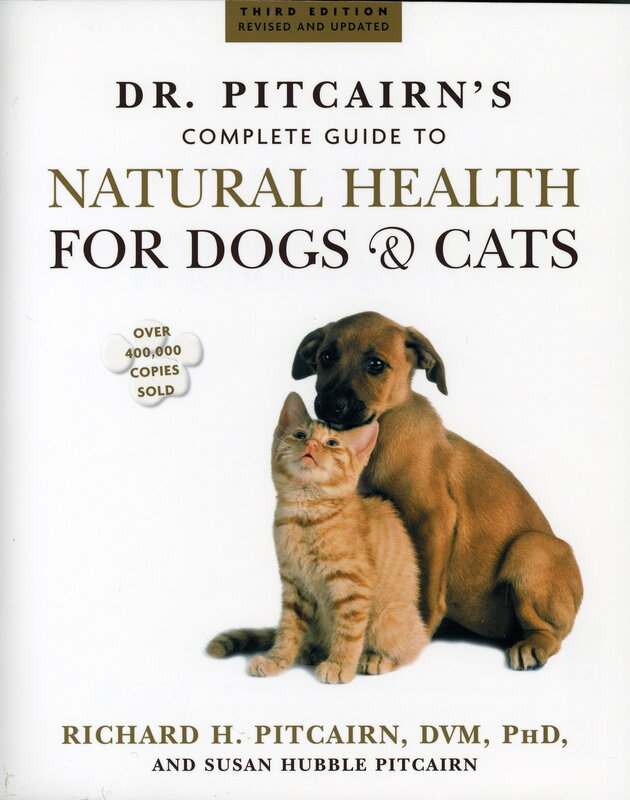 In the summer of 1994, we vacationed in Maine, and while we were here, my wife purchased a copy of Dr. Pitcairn’s Complete Guide to Natural Health for Dogs & Cats by Dr. Richard Pitcairn. After reading the book, Paula started preparing Gus’ food from scratch, based on recipes in Dr. Pitcairn’s book. We tried different recipes, measured Gus’ urinary pH, and there were still no significant, lasting improvements. We moved to Maine in the fall of 1995 when we purchased Green Acres Kennel Shop, and Gus’ UTI’s remained a part of our lives. In the spring of 1997, a pet food distributor walked into the store trying to convince us to sell his brand of pet food. We were not looking for another food at the time, but as we chatted, we started sharing dog stories. We told him about Gus and his UTI’s, and then we realized we had something in common; he also had a dog that had had crystals in his urine. He told us his dogs UTI’s resolved when he started feeding his brand of food, supplemented by a probiotic and a pH supplement also manufactured by the company he represented. He offered us a six week supply of the food and supplements at no charge saying “Try it and let me know what you think.” At this point, we had been dealing with Gus’ UTI’s for over five years and thought what have we got to lose. Before we had used the six-week supply, we saw marked improvement in Gus’ urinary health and decided we needed to learn more about this pet food and supplement company. Wow! The owner of a pet food company is saying that fresh, whole food prepared by a pet’s guardian is a better choice than any commercial pet food. That is not something I ever expected to hear from the owner of a pet food company, but at a common sense level, everything he said makes perfect sense. This prompted us to start reading everything we could on pet nutrition as we wanted to feed our pets as best as we could afford while helping our clients do the same. We have been on this pet nutrition journey for 24 plus years. We learn new things all of the time while watching the continually changing cast of characters in the pet food world. It takes effort to keep current with all of these changes, but we feel it is necessary because we need to be looking out for our pets.